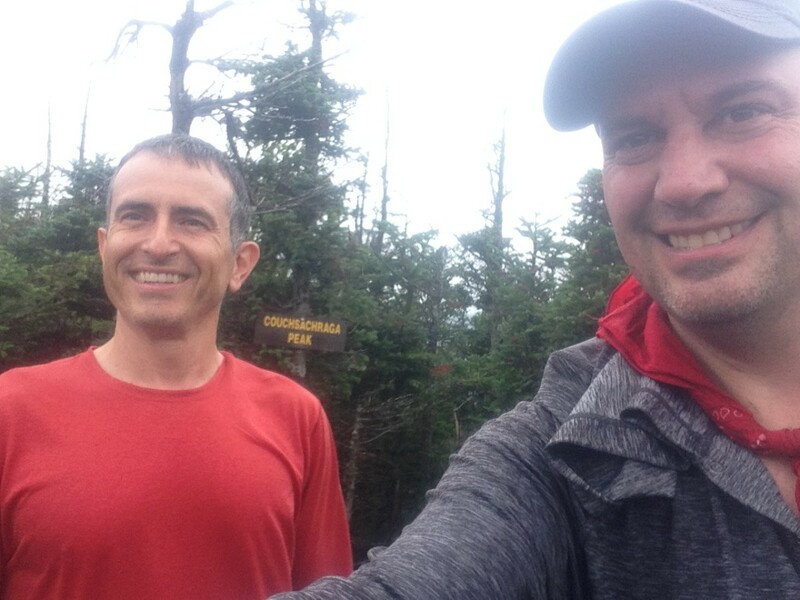 For our latest hike, my buddy Kory and I had planned to knock off the Santanoni Range in the last week of July. 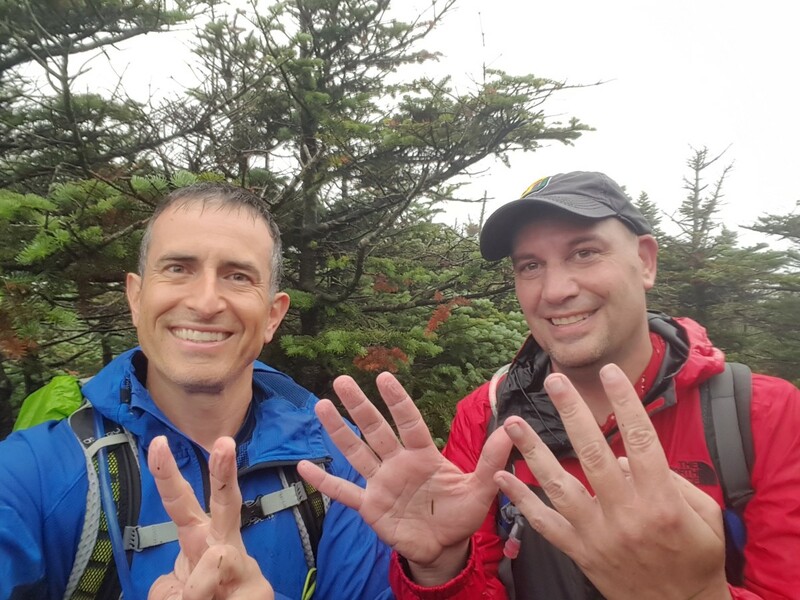 These three peaks were going to be our twenty-seventh, -eighth, and -ninth high peaks that we've done in the last fourteen months. 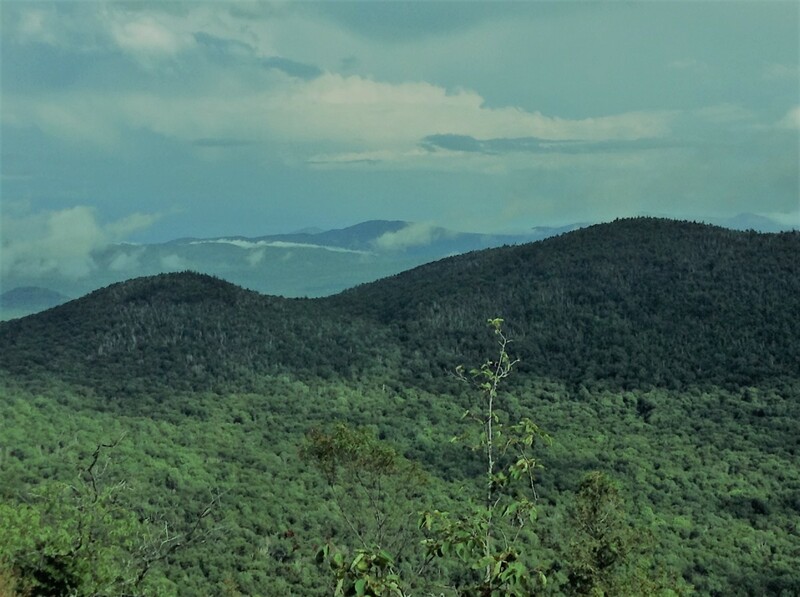 The Santanoni Range includes Santanoni, Couchsachraga and Panther Mountains and sits on the southwest side of the Adirondacks. 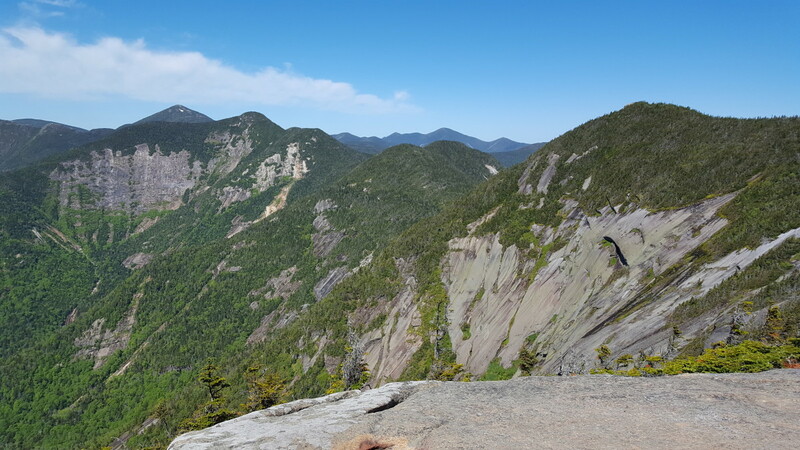 Santanoni is the fourteenth highest peak of the Adirondack Forty-Six at 4,607 feet while Panther is eighteenth at 4,442 feet. Couchsachraga is the smallest of all the forty-six at 3,820 feet. 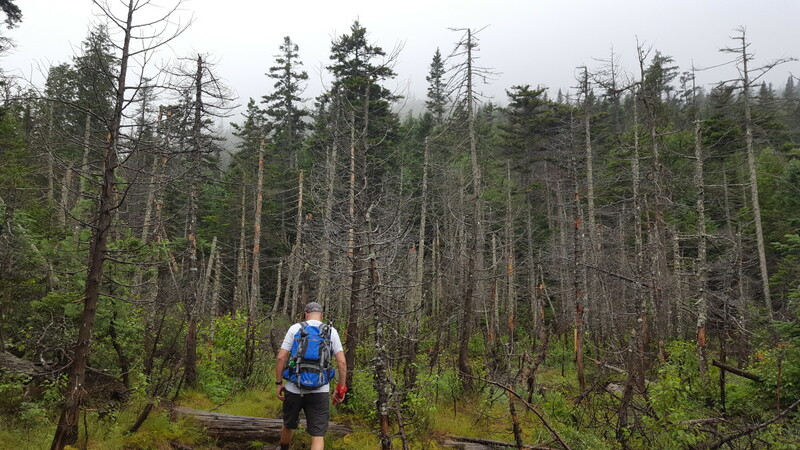 We usually try and plan our hikes around good weather, but schedules forced us to pick the lightest rainy day of a very watery week of weather. The forecast was a high of eighty, ten to twenty mile an hour winds, and forty percent chance of rain. 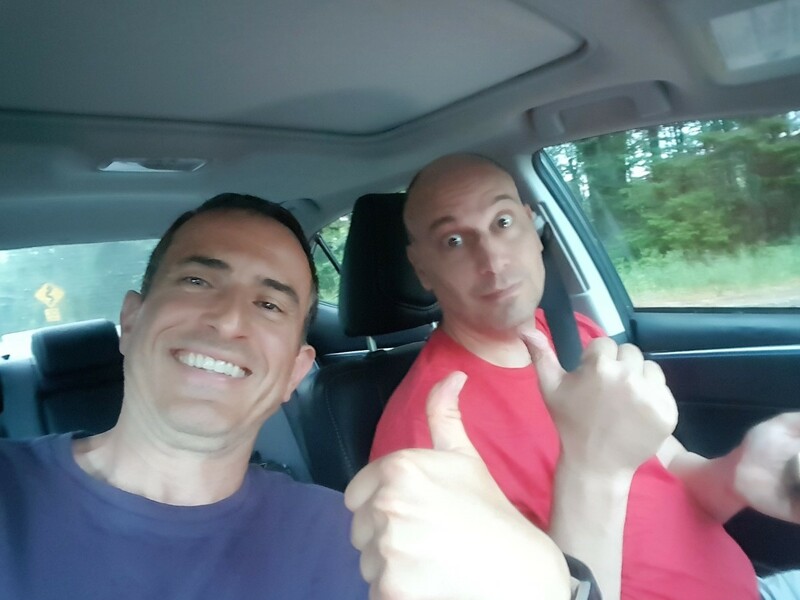 As we were driving up that morning, the weatherman moved the chance of rain to eighty percent, so we knew we were going to get wet on this one. 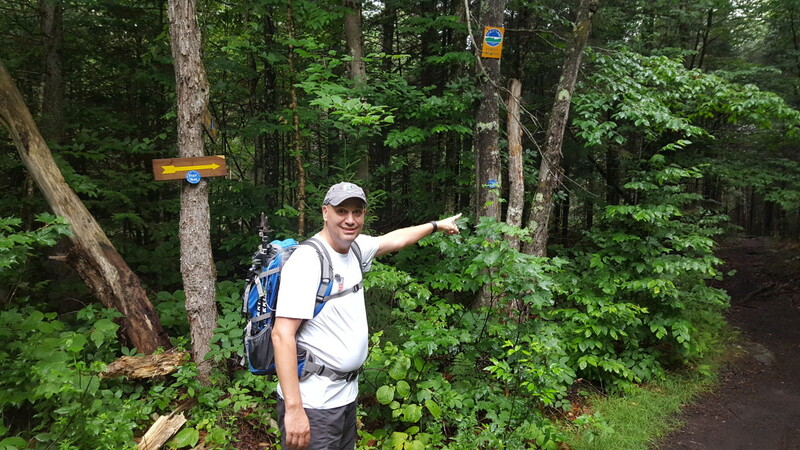 The road to the parking area started by heading to Newcomb, N.Y., on 28N, then taking Tahawus Road going north. This road eventually runs into Upper Works Road on the left. One note, dial back the speed when you see the railroad tracks, as there's a lip on the far side. If you have a small car, you're going to bottom out. Further up, there is a turn off for the Santanoni Peaks on the left. The parking area, sign in book, and trailhead, are right there after you turn in. We signed in and noted a few others on the same trail we were planning to take. We had read from our go-to hiking guide (Jen is Green) that going up the Express to Santanoni was the preferred way, so we planned that route also. We were all geared up and on the trail at 9:35 a.m. The trail takes you through a gate with a metal bar across it and onto a two lane rocky road. The road rolls a little with some up swings and declines and we noted how that was going to be a bit rough on the way out. We stayed on the road for a good thirty-five minutes (1.7 miles according to topography) until we got to the markings for the blue trail. 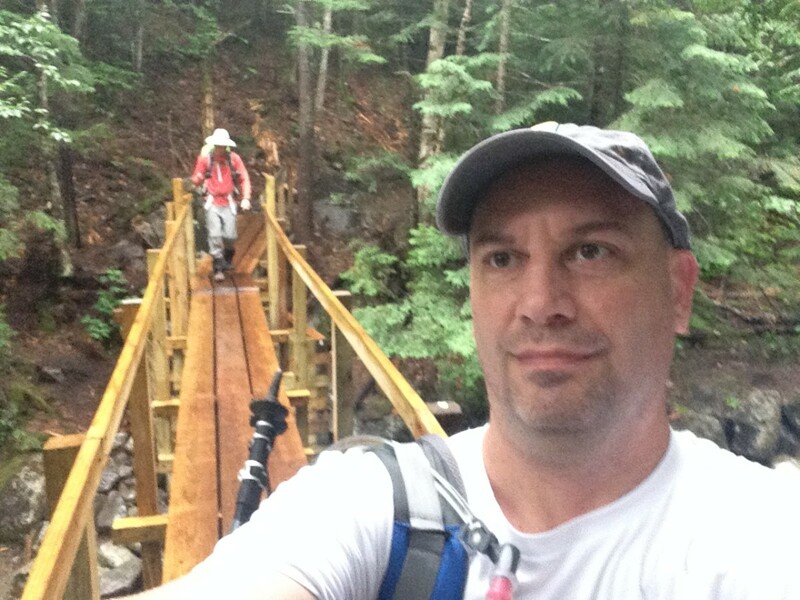 Once in the woods, the trail winds it's way to a wooden bridge about fifteen minutes later. After that, the trail starts its endless incline. It's not steep, but every step you take is one that goes up. It's pretty rocky right after the bridge and stays this way for a while. It took us another thirty minutes from the bridge to get to the cairn for the turn off to the Express route up to Santanoni. The trip up to Santanoni is basically moderate and up for a good hour and a half. Usually, we call out 'reprieve' when we come to a flat section that allows the legs to get a rest section, but there aren't a lot of those on this ascent. For a herd path, the trail is very easy to navigate, but it's not very wide. It reminded us of Street and Nye near the top where the trail narrows. 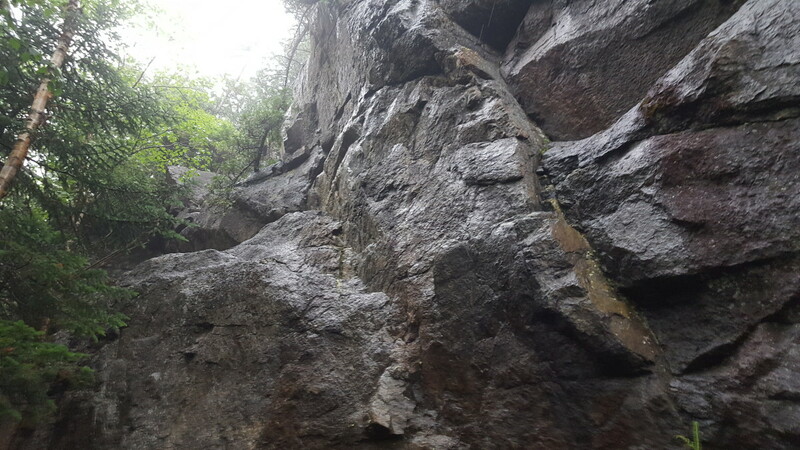 On the ascent, there was a misty rain that had started to fall, so every time we brushed up against the foliage to the sides, it was like taking a shower. By the time we reached the peak, we were both soaked and the wind had started to pick up. Just before the summit, there is a trail off to the right that leads down to Times Square and the trail to Couchsachraga. Stay straight to get to the summit for Santanoni. We reached the summit at 12:35 p.m and spent about ten minutes there taking pictures and I changed out of my damp shirt and into a hooded shirt and rain jacket to try and stay warm. The descent off of Santanoni is more rock, but not anything super technical. Just your typical bouldery traverses that you find on other mountains. We started down and made it to Times Square at 1:35 p.m. and spent five minutes there grabbing a snack. In reading other trip reports, Times Square was a bit confusing to comprehend. It's basically a juncture of three trails coming together, the one to the left for Couchsachraga, the one to the right for Herald Square (only a few minutes away), and the one you come down from Santanoni. There is also a little camping area off to the right as you come into the juncture. One thing about this hike, there's not much flat land. It was a gradual downhill hike for a good forty minutes. We came across a pair of hikers from Ontario about thirty minutes down and they told us how much they enjoyed the hike over to Couchsachraga. They said once we got to the bog, it was two-thirds of the way to the summit. It took us forty minutes to reach the infamous bog that we had read about. With how dry it had been, the water level was pretty low and the branches that were in the bog were easy to cross and we made it through unscathed in terms of mud. Right before reaching the far side, my right foot got a cramp from wrapping around the wood of the branches though. Man, did that hurt. From the bog, we started to ascend for about twenty minutes until things started to clear out a bit. We had hope that we were approaching the summit, but there was a short descent right after and another twenty minutes of hike before we actually hit the summit. There were two nice rocky scramble sections just before the summit and that's how you know you're actually there. 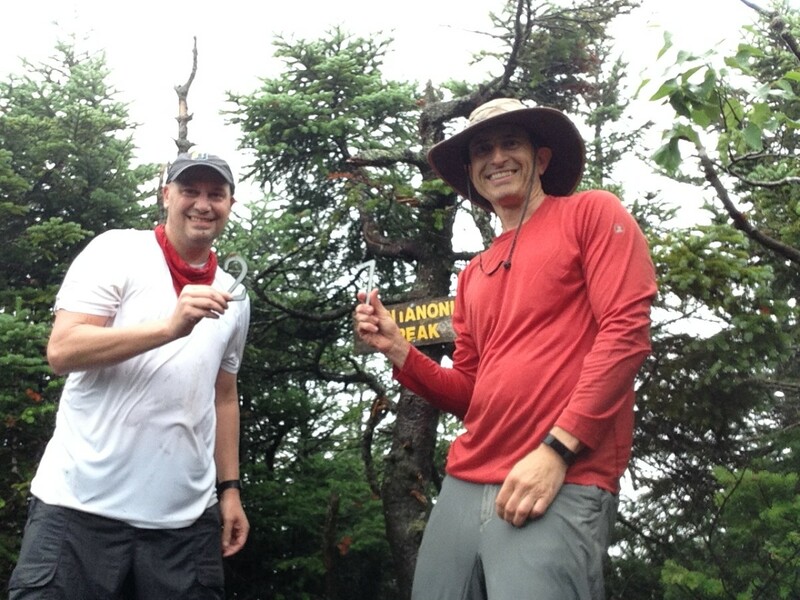 We were at the summit around 2:55 p.m., so five hours from when we started. Our 28th Summit on Couchsachraga! After Couchsachraga, you need to backtrack all the way back to Times Square. We were able to descend back to the bog in about twenty-five minutes, crossed unscathed in terms of mud, but I did stab myself in the ear with a pokey branch from a tree near the far edge, so I broke it off to save someone's face later on this Summer. Near the far side, I got another foot cramp in the same foot I had one the first crossing. These were new to me on hiking and wow did they stink. Then it was back up all that elevation in another fifty minutes. The rain really started to come down heavily on us about two-thirds of the way up, but it kept us cool and motivated to keep moving. We were back in times Square at 4:18 p.m.
From Times Square, we headed down a bit to Herald Square and saw the turn off to the right to head back down to where we would meet back up with the blue trail. 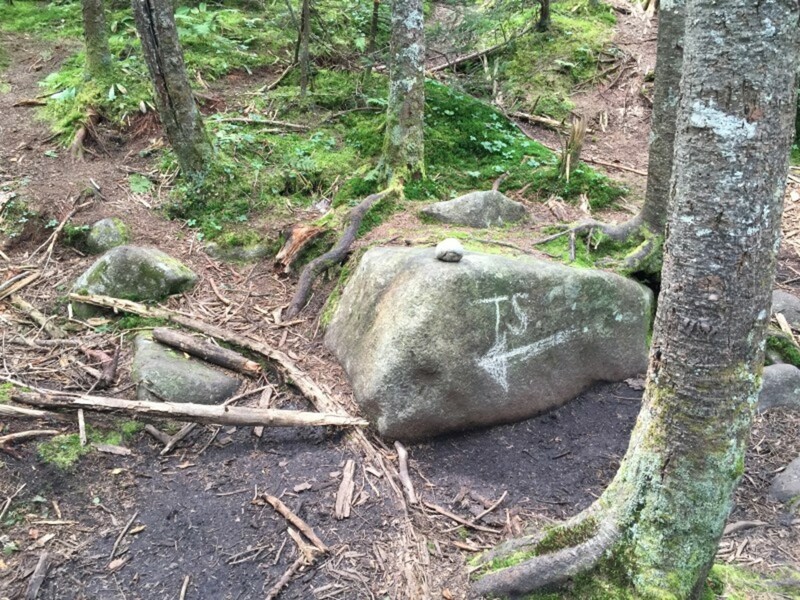 On one of the rocks, there's a TS with an arrow pointing back to where we came and then off to the right, another with a P for the route to Panther. Herald Square is very well marked and easy to navigate. We kept going straight to where the P-arrow pointed and started to incline through a tight trail and up through heavily flowing water. Our shoes were soaked already, so we just plowed right down the middle. Eventually, it opens up to a large rock face and after a scramble you're on an open face. For us on this day, it meant we could see clouds in all directions and the wind really kicked up. 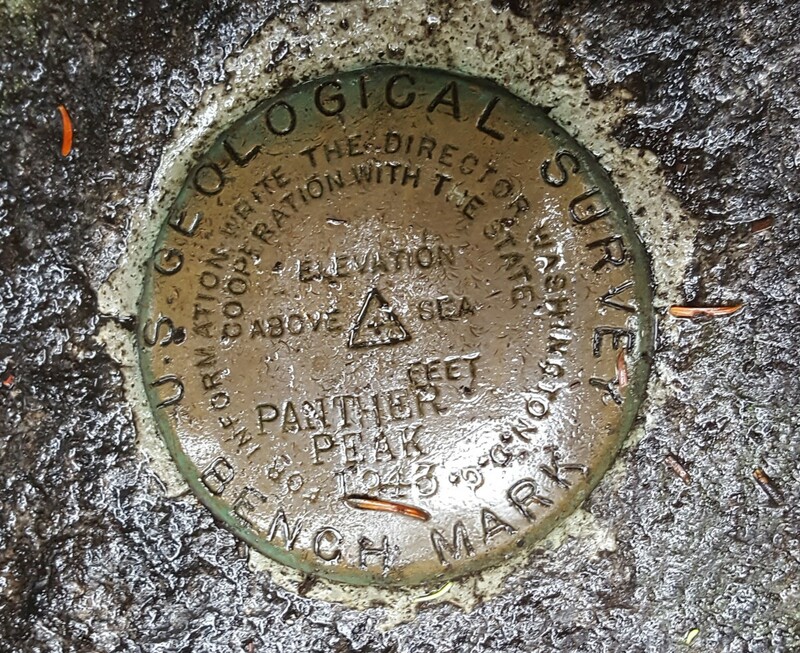 We moved into the far trees and found the survey marker for Panther. The trek from Times Square to Panther only took us seventeen minutes and we only spent about five minutes total on the summit since we couldn't see anything. At 4:40 p.m., We turned and went back down Panther to Herald Square, with one more foot cramp on that descent, and then we took the left hand turn to head for home. The descent was steep and rocky and lots of pounding on the joints. 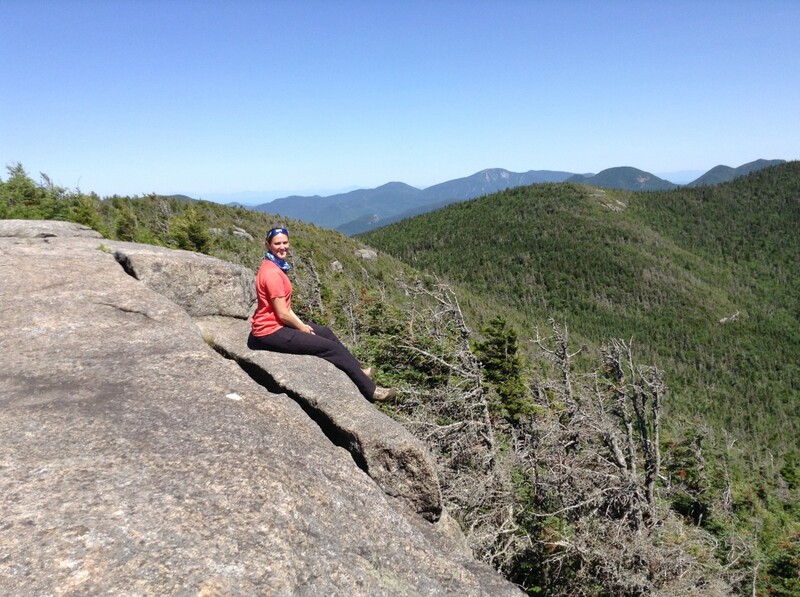 There's no real reprieve either, just constant rock to rock hiking. After fifty minutes, you eventually come to the first of two stream crossings. The second one is ten minutes after that. 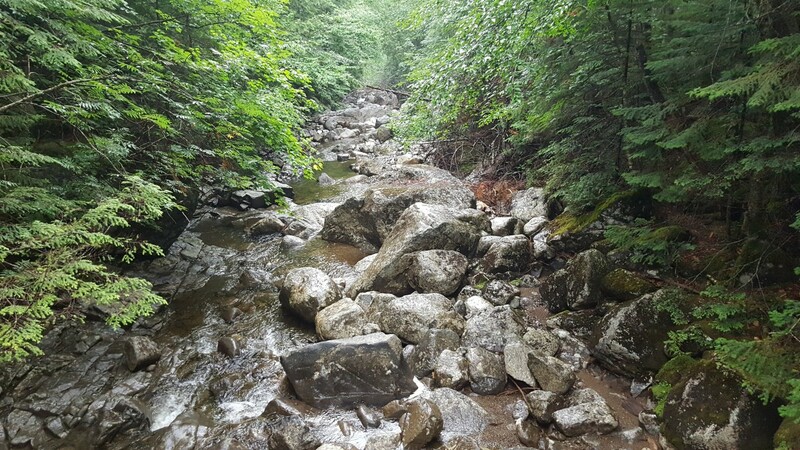 The streams were moving pretty fast with all the rain and this would be an ideal fill up spot if you're running low on water. Fifteen minutes after the second crossing, you come to a large drop off with the view of Bradley Pond in the background. On this day, this was a little tricky and I ended up taking a bad step and slipping on some mud and fell onto my back. If I had kept going, there would have been a ten foot drop to some broken bones, so I'm glad I was able to stop myself. But that one definitely hurt a little. After that section though, the trail gets more moderate and softer for a little bit. Five minutes later, the intersection with the blue trail came into view and we turned right to head back towards the cairn where we took the express route. It was 6:10 p.m. at this point. We headed down the blue trail for about twenty minutes before running into the cairn. The terrain all the way down was rocky stone to stone navigating. But from the cairn, we knew it was about an hour and twenty minutes to the parking lot and it was 6:30 p.m. at this point. We found the bridge, then the road and were back at the sign in book at 7:50 p.m. for a total time on trail of ten hours and fifteen minutes. 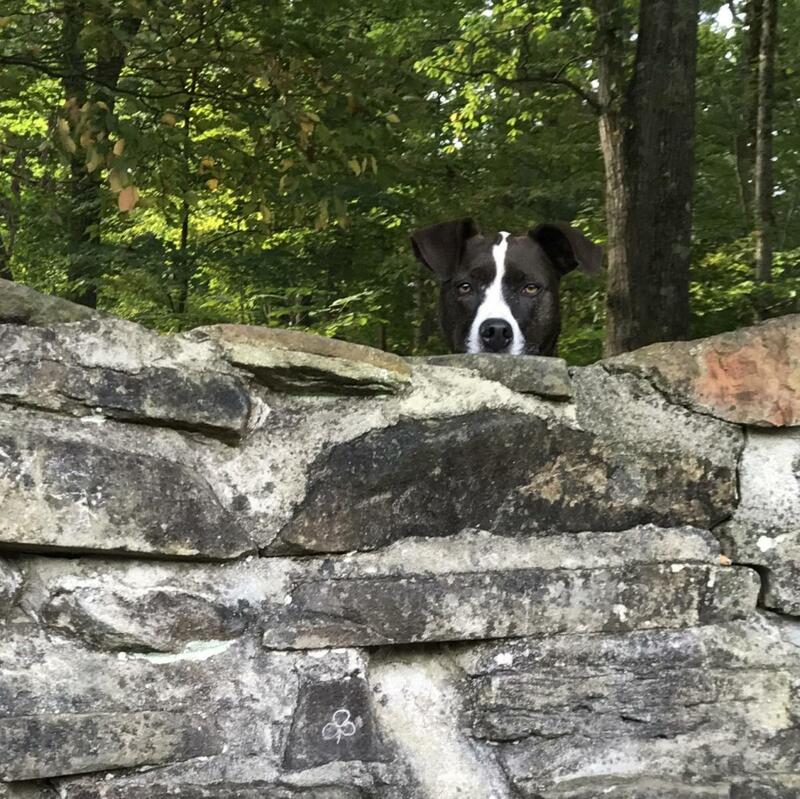 This was an interesting hike. Lots of ups and downs and the rain was both a blessing to keep us cool and bug-free, and a curse that made dirt into very slippery mud. But all-in-all, it was an enjoyable hike even without the views. It was challenging and with the three very different peaks, it kept it entertaining. Not our best hike, but not our worst either. A few things of note on this hike. Keep keys, electronics, and dry clothes in plastic bags from now on. Don't forget to pack a bag cover on rainy days. 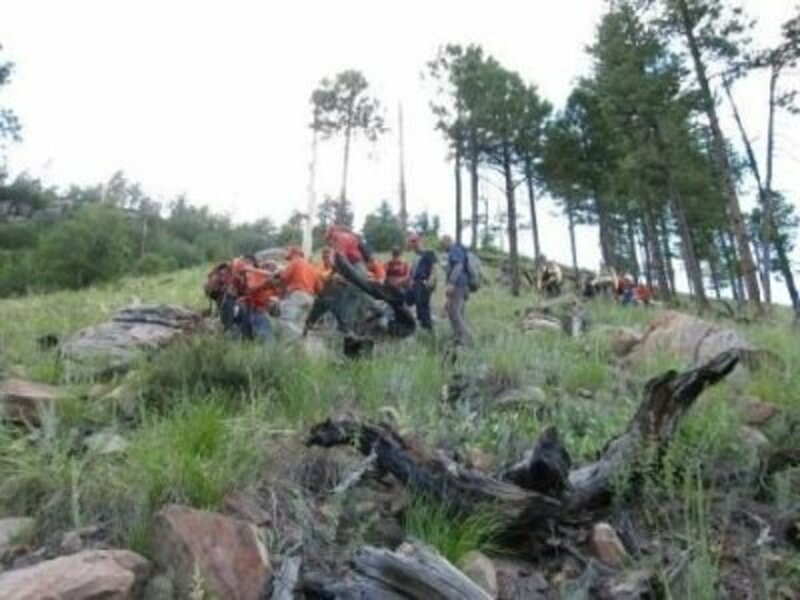 And lastly, the sugar rush from energy bars really cause a hard crash if taken early in hikes. Save them as a last resort. 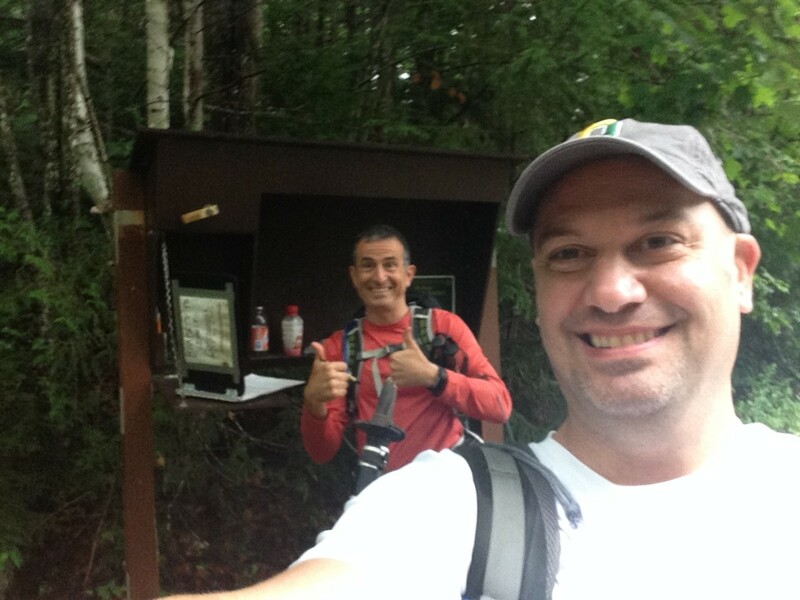 A trip report from the hike on Allen Mountain in the Adirondack Mountains of upstate New York. 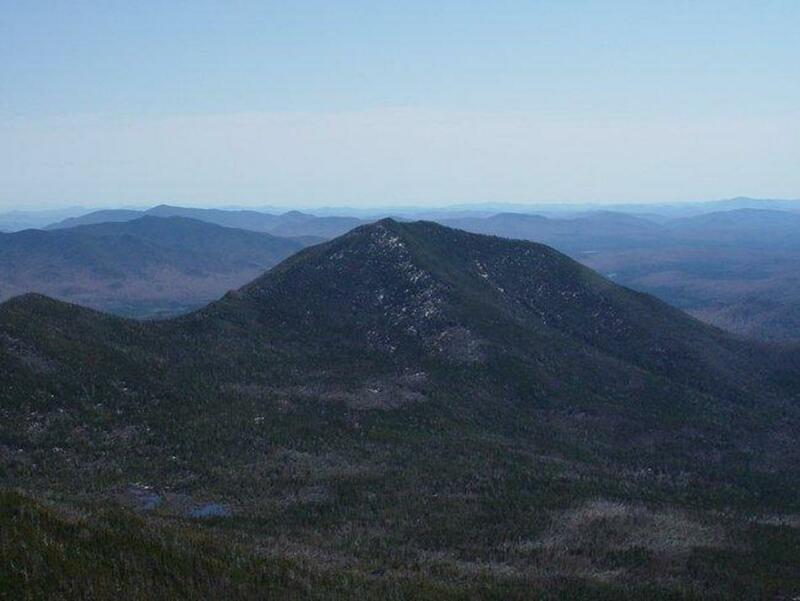 Allen is the 26th highest Adirondack peak with an elevation of 4,340 feet. 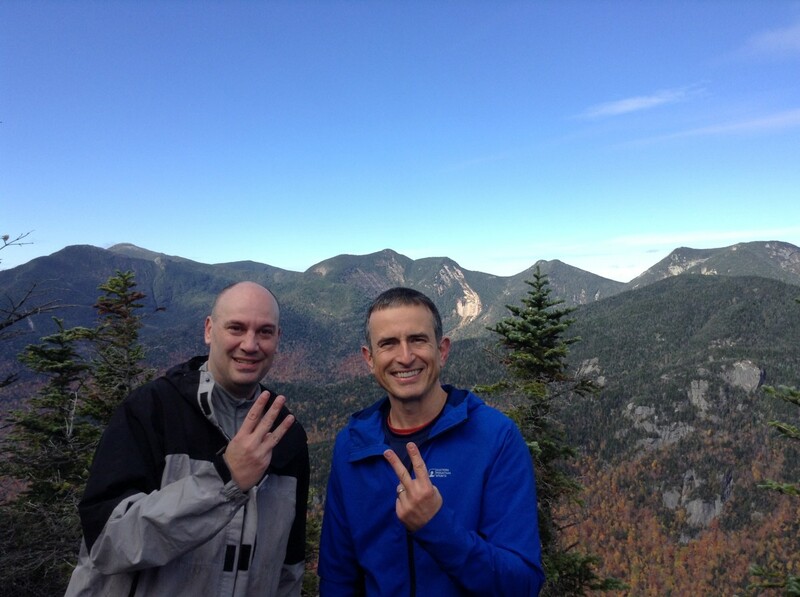 A summary of our hike to the Dix Mountain Range in the Adirondacks. 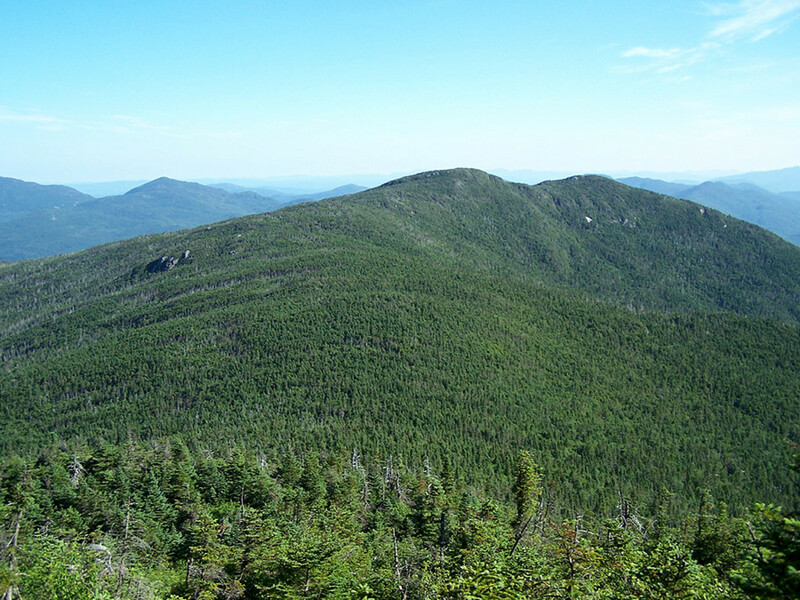 The Dix Range includes the high peaks of Macomb, South Dix (Carson), East Dix (Grace), Hough, and Dix. Hey JOC, you do a fantastic job with your posts. I've read a handfull of them (mostly the ones I'll be doing soon) and I think IMO are the best I've found. I enjoy how you actually put the pictures where you are in your story. I hope you continue to do the same to the rest of the mountains. One comment I'd like say is the pronunciation of Couchsachraga, and not that it even really matters, but it's Cuk-sa-kra-ga. Translated it means "dismal wilderness". I started hiking the 46rs a little over a year ago and have 21 done to this point. I just hiked the Santinoni range a couple weeks ago and it was beautiful! An epic day. I was on my way up Santinoni and looked back on a vista point and the clouds were sitting low in the valley and all you could see were the peaks!! It rained heavy for a couple days before I hiked it so it was VERY muddy and wet the whole way so when I got to the bog, it didn't really matter. I noticed you were having cramps. Here's a little ultra runner secret. Bring some chewable Tums or Rolaids with you and if you start to get that twinge from a cramp, chew a few of them right away and within a minute they are gone. I always bring a baggie of them with me. Anyway, keep up the great work and keep enjoying your peaks. Thanks again for entertaining me. Oh, Keep up the short vids.